Latisse: Are you ready for bigger lashes? Bigger, thicker lashes. Sure, everyone looks better with them, but how far are we willing to go. It's been a while since the FDA approved bimatoprost for cosmeceutical use, a prescription drug originally used for glaucoma treatment. The simple gist is that glaucoma patients using this drug developed thicker, longer lashes. This little finding ended up being a jackpot for Allergan, the company behind the drug. This is actually one example of a pharmaceutical company truly getting the ultimate success in a product, namely being able to repackage a drug for a secondary market, especially when the market is even larger than its orginal target audience. Sure Allergan may have had decent sales (over $100 million) with Lumigan (the glaucoma version of the drug), but we all know the real money is had in cosmeceuticals. Being able to repackage the drug for cosmeceutical use (under the name Latisse) is going to make Allergan more money, many times over, than they could have as a limited to glaucoma drug. In fact, sales are predicted to be over half a BILLION dollars, and product popularity will only continue to grow. Oh yeah, guess what other blockbuster product Allergan is behind? Botox! And they think that Latisse will rival sales of Botox! 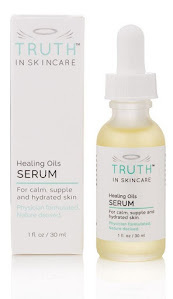 But it's our job to take a closer look here at Truth in Skincare, right? So let's get into it now. The active ingredient in both these products is bimatoprost, which is similar to prostaglandins, basically fatty acid derived active compounds, which in this case, help decrease the pressure inside the eye. This is an essential activity to help relieve the pressure in Glaucoma and reduce damage to the optic nerve. Overall, it's a seemingly safe drug and cleared by the body extremely quickly. And there's no doubt to its benefits for glaucoma patients, but as a cosmetic agent, well, that's a different story. So we're going to be using this active drug to lengthen out lashes! To be honest, I don't know how the FDA got around to approving this drug for cosmetic use. The concentration of the active ingredient is the same in both products, however, the application process is not the same. Lumigan (the glaucoma drug) is in the form of eye drops. However, Latisse, the cosmetic form is in drop form too, however, it is dropped onto an applicator. The applicator is then used to apply to the eyelash area, not directly into the eye (although it will find it's way into the eye anyway!). On top of all this, it will require daily use and maximum results won't be found for 16 weeks. That means a dedication of 4 months! I don't know readers, what do you think? I think that there are probably more useful ways to devote your time than to this experimental beauty regime. The most unfortunate aspect is the people who most justifiably would need this are chemotherapy patients who have lost their eyelashes, but this is just one of the groups of people that the FDA suggests more research should be conducted. So, the people that may need this product the most are the ones that more research needs to be done in order to prove the product's safety and effectiveness. Is it me, or does this seems like an excessive cosmetic regime that we can do without? For safety's sake (come on, do you want to go through any of the above side effects?) I'd recommend staying away from Latisse. Period. At least wait a few years to see what this products full effects will be. Now that this product is approved for cosmeceutical use, the number of patients using it is exploding as well, and we will soon find out what the full list of side effects are anyway. I say . . . just be smart and don't be a guinea pig, stick to your favorite mascara for the time being! Love your blog. I'm always on the look out for 'baddies' in consumer products (especially now that I have small children). And your blog gives me the info I've been looking for. Thanks for the post! Very wise words indeed! It's time to purge my makeup case of all that hinders! Well girls, I'm 56, I've worked off over 80 pounds.... I'll be the guinea pig. What does false eyelash glue do to your eyes? I put on makeup every day anyways. I don't see it as four month commitment. I see it as just one more little habit that after two weeks I'll be doing without thinking just like applying sunblock. And if it gives me side effects I don't like. I'll quit. I'll let you know how it goes. I have been using lumigan/latisse for just four and a half weeks now. I have seen a significant difference already in eyelash growth. It's not just me either, I am beginning to get compliments on them. The only negative I have experienced is redness, like slightly bloodshot eyes. I don't care! I can invest in Visine, it's well worth the results! I used Latisse, as directed, for only five days. Once my eyes became bloodshot I immediately quit. Now I am dealing with iris color change. The darkening of this iris does not stop when you notice it darkening and decide to quit. After you stop, you are tortured as you watch your eyes darken day after day. I am still noticing changes and it has been two months since I stopped using it. Very scary product!! It is a sin that this product was allowed on the market. My doctor didn't even require an eye exam and I had NO brown spots in my iris!